Armada Model Designs takes pride in its ability to deliver. In the case of our Deepwater Horizon study we provided our client with a high-quality investigation, delivered in a timely manner. 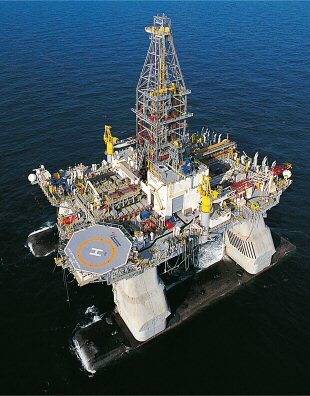 On April 20, 2010, the blowout of the Macondo well on Mississippi Canyon Block 252 resulted in explosions and an uncontrollable fire onboard Transocean's Deepwater Horizon semi-submersible drilling rig. Eleven people lost their lives and 17 were seriously injured. The Deepwater Horizon sank 36 hours later, and the Macondo well discharged hydrocarbons into the Gulf of Mexico for nearly three months before it was contained. 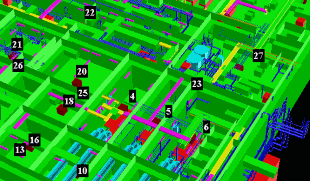 Armada Model Designs' expertise in CFD and gas explosion modelling was exploited by one of a pair of teams investigating the Deepwater Horizon Incident. This investigation, which studied both fugitive gas dispersion and the subsequent explosion, involved a primary analysis team and separate verification team. Armada was contracted to assist with verification. Fundamental to any CFD explosion analysis is the accurate representation of equipment constituting congestion within the combustion region. The verification team took part in both explosion and dispersion model geometry creation from an early stage and the finished explosion model was read into Armada's ARG software and scrutinized carefully. Since the aim of verification was to assess the primary team's approach, it was important to explore alternative methods. For this reason, Armada employed a uniform gas cloud of stoichiometric concentration in its explosion simulations. However, a realistic gas cloud was also imported into Armada's CFD software in order to confirm the integrity of the primary team's gas cloud transfer process. 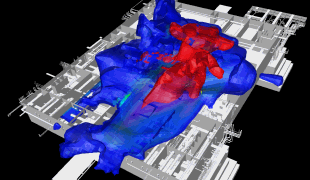 During explosion simulations, a number of variables were recorded at monitor point locations. To allow direct comparison, the monitor point positions were set to match those used in the primary study. As part of the verification exercise, Armada conducted Investigations into the effect of ignition point location, the importance of gas property definition and the nature of explosive door-opening within the platform.